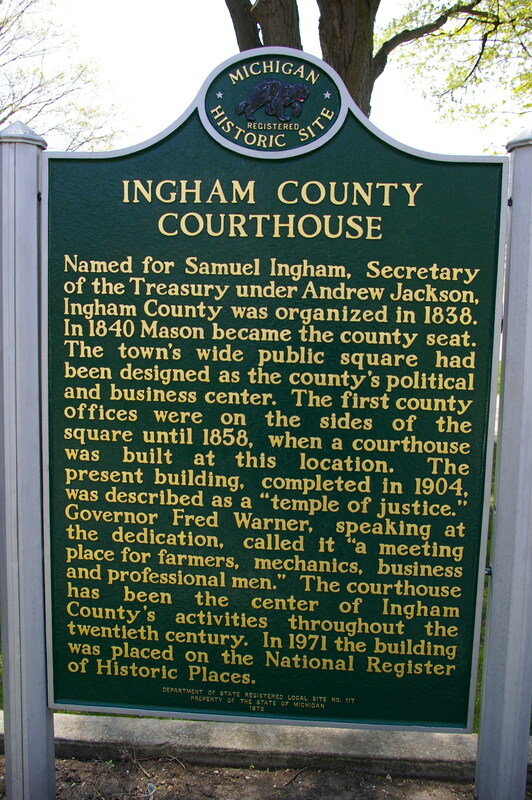 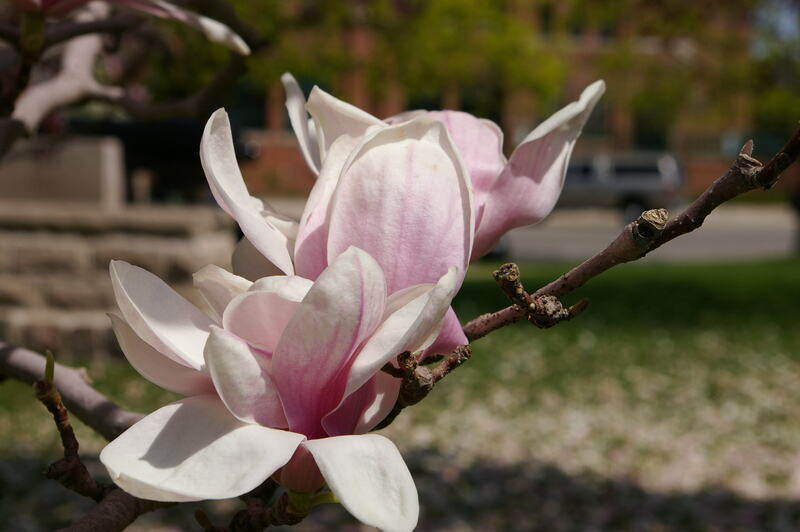 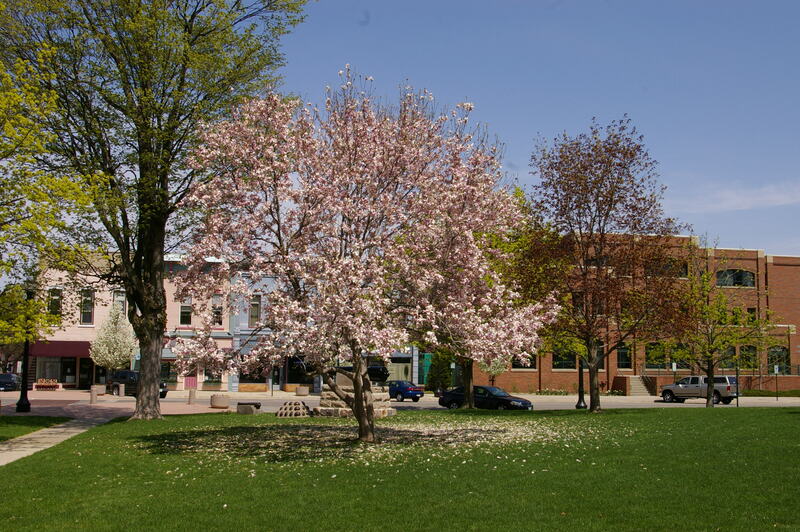 Ingham County is named for Samuel Ingham, who was Secretary of the Treasury under President Andrew Jackson. 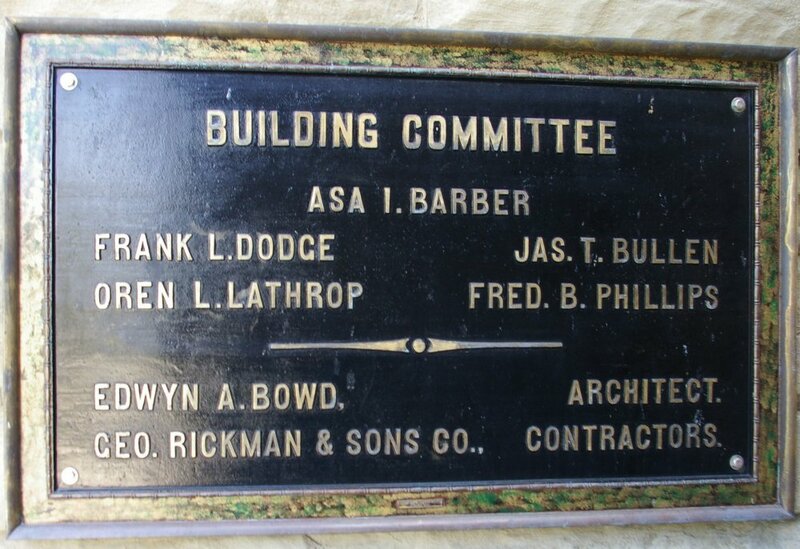 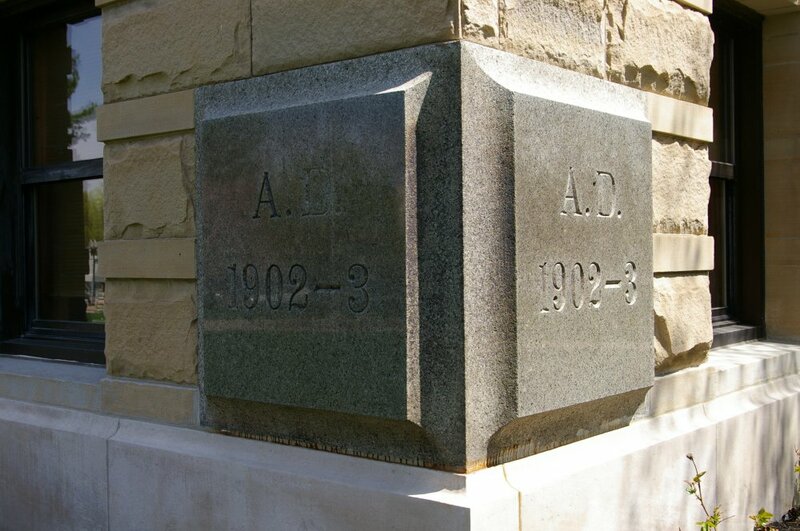 Description: The building faces east and is a two story Berea sandstone structure. The building has a large portico supported by four large columns rising to a pediment at the roof line. 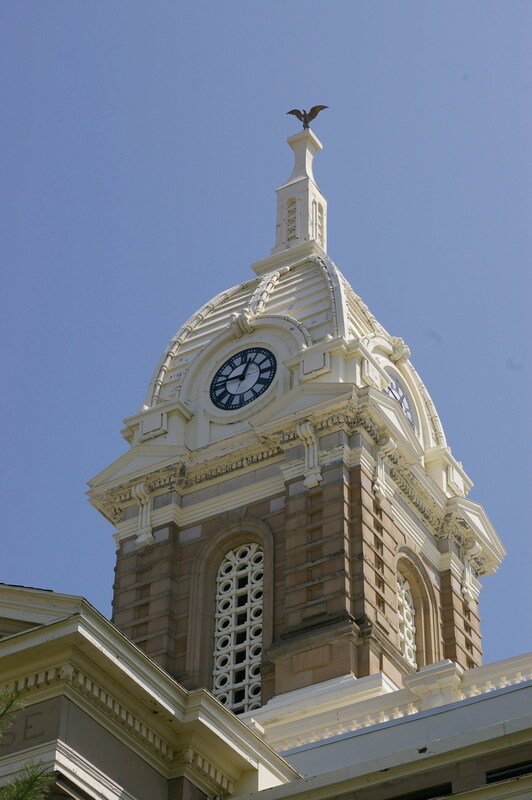 On the center of the roof is a square dome with clock and white colored roof. 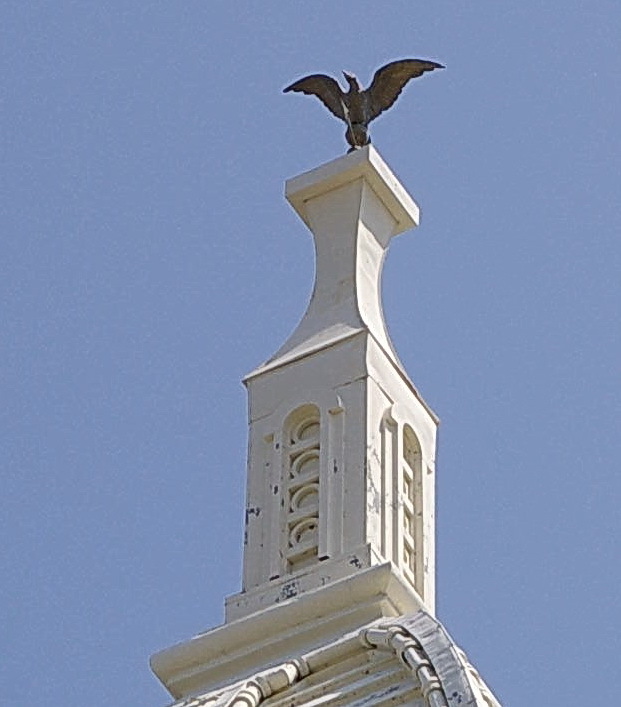 The statue of a Golden Eagle is atop the dome. 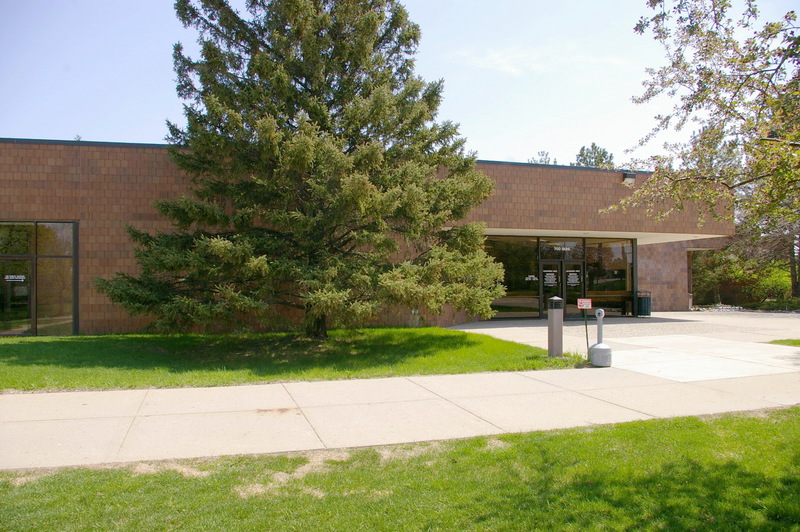 The building was renovated from 1980 to 1995. 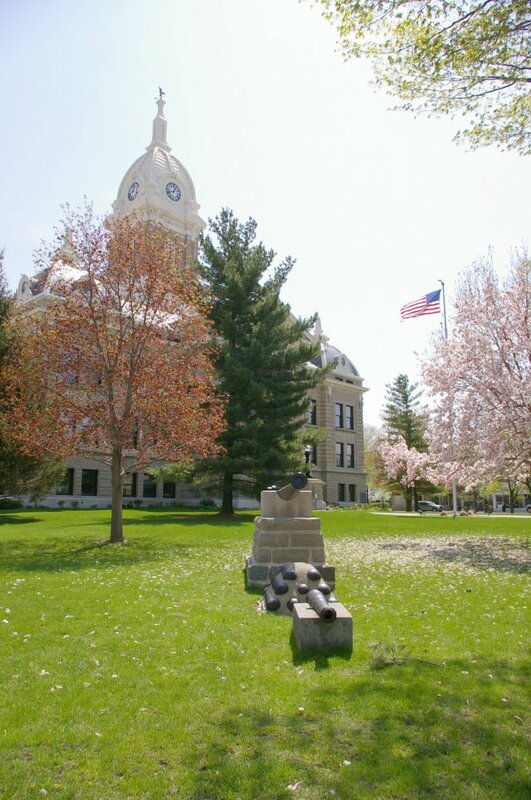 Note: The first courthouse was built by Emmons White in 1840 to 1841 at a cost of $325. 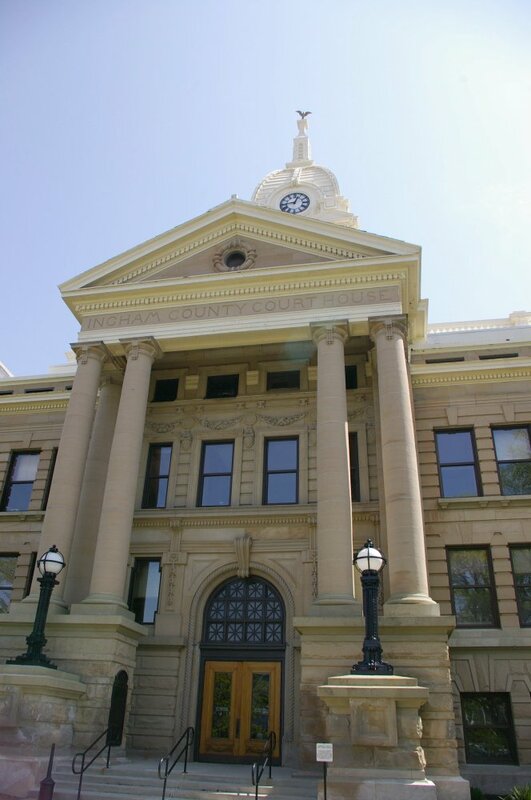 The next courthouse was constructed by William Hammond & Company in 1842. 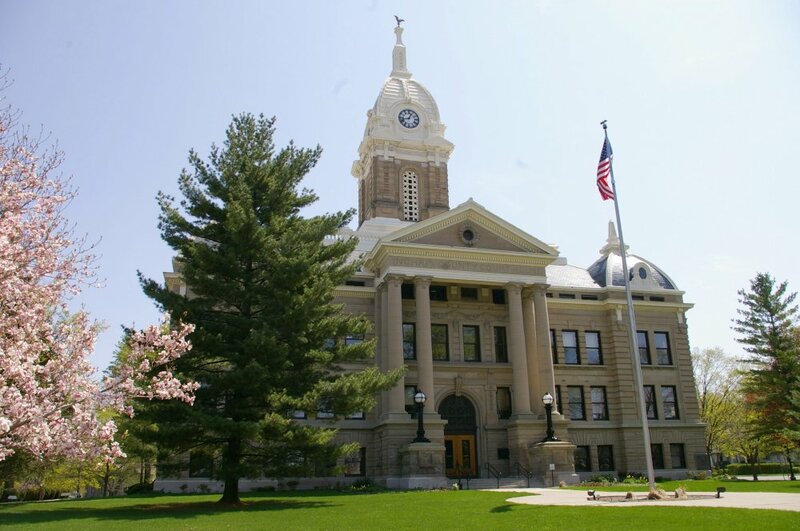 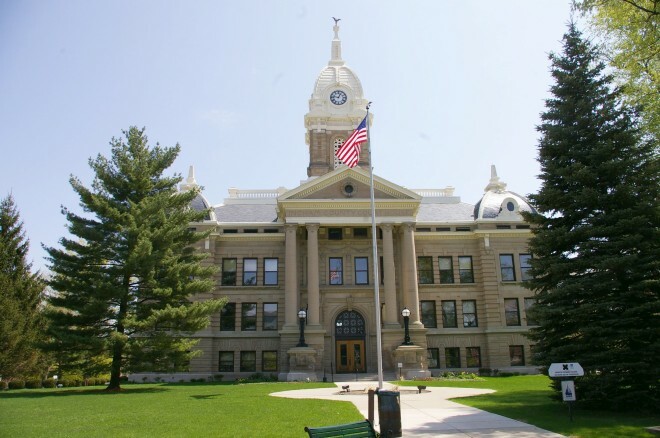 The previous courthouse was designed and built by Matthew Elder of Lansing in 1858 at a cost of $12,229,19. 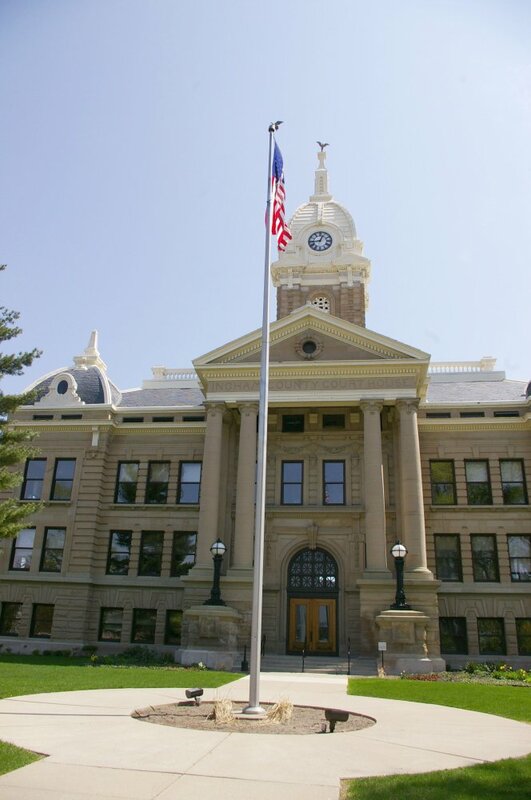 The present courthouse was constructed at a cost of $96,678. 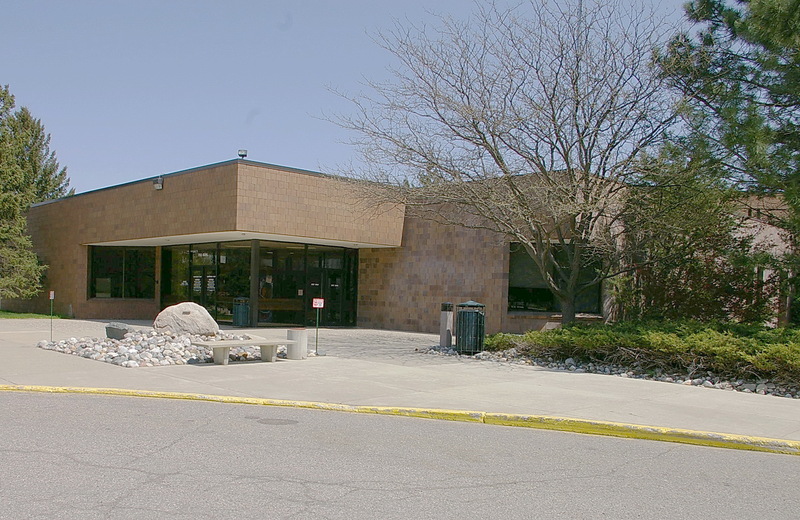 Description: The building faces west and is a one story brown colored brick and concrete structure. The roof line is flat.